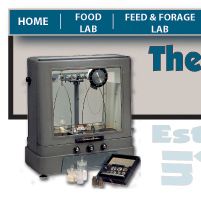 Commercial Testing Laboratory was founded in 1952 as Commercial Dairy Lab. The original mission was to offer an independent milk sample testing source to the many dairy plants in the west central part of Wisconsin. During those early years, the Lab was primarily involved in the testing of dairy products and meat products, holding certifications from the Wisconsin Department of Health and the USDA. In 1972, the Company diversified into the testing of environmental samples. In 1974, the business expanded taking on a new venture in the dry blend and packaged products for national and international customers which is today CTL Foods, Inc.
Growth was rapid during the 1970's and 1980's. The Lab further expanded, needing more physical space. During the late 1980's, the DNR certification program was developed, and the Lab became certified. The year 1994 saw the formation of the new company, CTL Foods, Inc as well as the expansion of the manufacturing facilities. 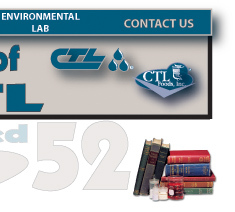 This Company manufactures and packages all the food products, while Commercial Testing Lab, Inc maintains the lab analysis business in the environmental, forage, foods, and specialty areas. All rights reserved 2004 CTL Groups, Inc.